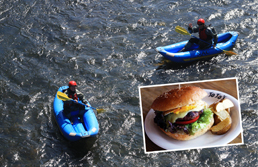 For summer activities advanced bookings are recommended. Please check the cancellation policy at a time of booking. For more detailed information please click "Contact us" or call us (+81 136 23 3301). 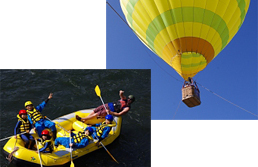 Any activity without "Contact us" means you can directy arrange things with the company. The Izumikyo Season Pass will be given to you when you check in if you wish. Please let us know when you would like. 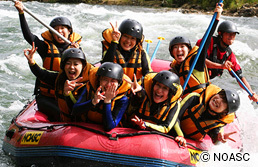 We offer special discounted rafting tour for our guest. 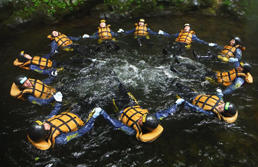 Addition, this tour include a free Onsen ticket of Hilton Niseko. Discount price for only Izumikyo guests! 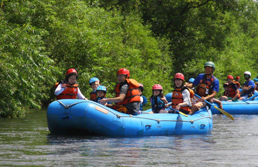 *Age >>> Elementary school aged children cannot go rafting until June 1st. 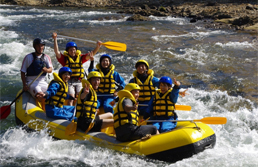 Paddle down Shiribetsu River enjoy the clear stream and views of magestic Mt.Yotei and surrounds. This tour is a scenic adventure with the awesome view of Mt Yotei in the background. 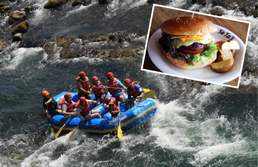 Includes free Hilton Niseko Onsen ticket + 2nd floor of NAC "JoJo's cafe" original Hamburger ! Special plan for only Izumikyo guests! Suitable for preschool child (3 and over) and up. 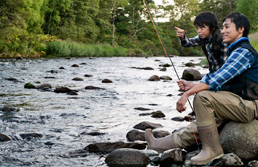 *Each young child(3-5) should accompany an adult. 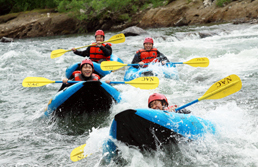 If you did challenge a Rafting already,try a Ducky. 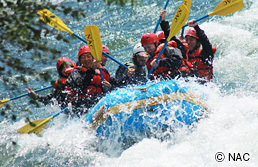 Ride on a small one or two person raft, and you have to control by yourself. 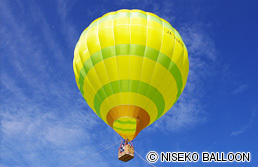 And free Hilton Niseko Onsen ticket included. 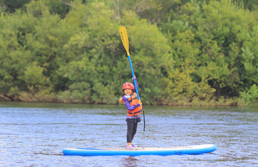 Anyone from kids to adults can enjoy SUPing. Originating in Hawaii in the 50's, but only recently becoming a global way of having fun. The SUP boards are very stable and easy to stand up and paddle. 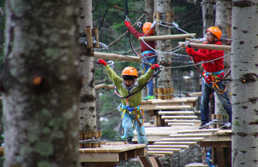 The Adventure Park is very excitable activity that moves from tree to tree on 5 ~ 13m height while challenging " the elements ". How long does it to clear this huge park you guess??? 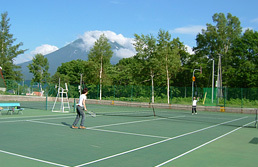 Offering a variety of outdoor activities in Niseko's great outdoor environs. Canoeing tour ---------- ¥6,480 etc.